For Mrs. Gayathri teaching in a low fee private school in the Anekal area of Bangalore believing in miracles. She is a working woman managing a family of 3 who has dedicated her life to one of the highly underappreciated jobs in India. As a teacher, she sees her classroom as a space capable of creating great leaders. She doesn’t categorize her children based on how much they know, instead, she pushes them to break the barriers of such categories. The beauty is that she believes that it is possible. For her children, belonging to an under privileged section of society isn’t a reason for not dreaming big. Their ambitions are not limited by the narrow alleys of their community. They know, if they put in the hard work and believe in themselves, they can achieve whatever they want. Yes, this is what makes a great teacher. A great teacher is the one who holds a mirror to show us what we are capable of and doesn’t hesitate to push us in that direction. 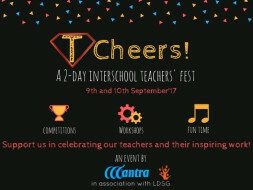 So, for many such Gayathri Ma’am’s who are just not ready to give up on their students, we at Mantra4Change have decided to organize a Teachers’ fest called "TCheers!". 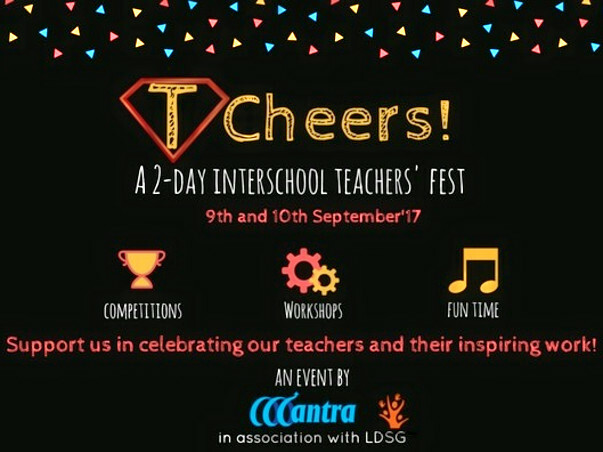 This will be a 2 day inter school fest (9thSept-10th Sept) consisting of sessions/workshops, games, and events designed to make our teachers feel really special. We are expecting around 150 teachers from our partner schools in Bangalore. This is a great opportunity for all of us to tell our teachers that “They Matter”. Had it not been for them, we would not be where we are now. So, let's thank these super heroes who ensure that every child in their class dreams big and works hard for it everyday. Help us with the cost! We still need to raise 2 lakhs for the event. You can also get your name/logo on our banners by donating Rs.25000 or above.